Mother Beverage at Highland Park Village's Local market. A low sugar, low calorie drink makes it easy to get your daily dose of ACV. Drinking a shot of apple cider vinegar a day has proven to have a variety of health benefits ranging from weight loss to clearing up acne, and although the benefits are fantastic, the taste—for most—is not. Luckily for those who wish to emulate Katy Perry, Dallas-based Mother Beverage created a local solution to save our tastebuds and provide a low-calorie drink with all the ACV good stuff. 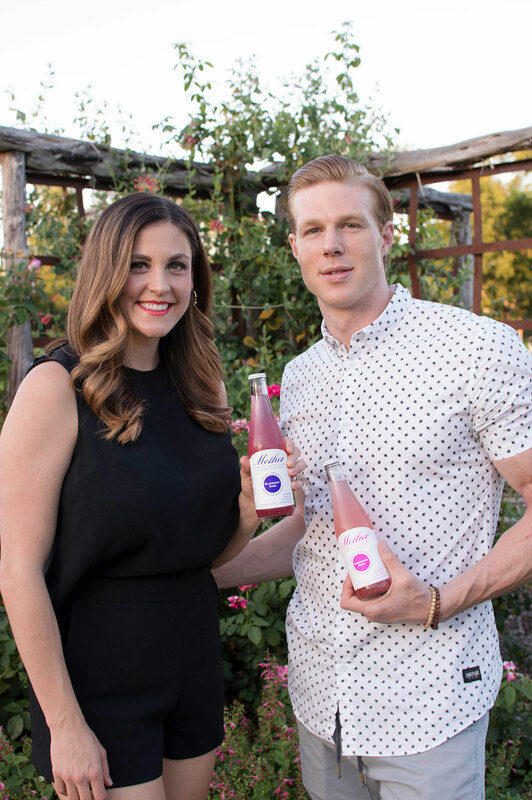 We had the pleasure of speaking to Allison Ellsworth, Mother Beverage’s co-founder, to get all the details about this tasty drink. How did Mother Beverages get started? My husband and I started drinking ACV to help us detox and reset our bodies. We loved the way it made us feel but the taste was a bit off-putting, so that’s when we started mixing different ingredients in our kitchen. We wanted to create something that preserved the health benefits of ACV, tasted great, and was low in calories and sugar. That’s how Mother Beverage was born. We had created something we loved so much for ourselves that we knew we had to share it with others. How do you all get your apple cider vinegar? We get our ACV from the largest organic supplier of apple cider vinegar in the US. It is the same supplier that Braggs uses. They’re called Golden Valley. Your site lists a ton of health benefits for drinking apple cider vinegar (promoting weight loss, relieving bloating, and even clearing up acne). Would drinking a bottle from Mother Beverage have the same positive effects? Mother Beverage contains all of the benefits of apple cider vinegar because our drink is raw and unpasteurized keeping the “mother” fully intact, unlike Bragg’s drinking vinegar (our biggest competitor, and most well known ACV beverage) who pasteurizes their beverage, killing off all the benefits of ACV. We offer the premium, best tasting drinking vinegar on the market. Why “Mother Beverage” for company the name? We named our company after the “Mother of Vinegar,” a substance composed of living protein enzymes and beneficial bacteria that is considered to be the most valuable aspect of ACV. How does Mother Beverage mask the flavor of ACV? And how did you decide on the flavors you carry? We use only fresh organic ingredients; no artificial flavoring or extracts. We take all those fresh ingredients and infuse them in the vinegar. We originally started with seven flavors, dropped three, and are now back up to five. We listen to our customers feedback, and are working on a few new and seasonal flavors that we’ll be testing out soon. A ton of customers have also asked for our vinegars in shot form, so we’re working on that right now. We’re going to roll out with the shot in a few weeks at some choice locations in Dallas.